Crews extinguish minor fryer fire. Shortly before Noon on Thanksgiving Day, Chews Landing Fire Dept. responded to 211 Landing Rd. 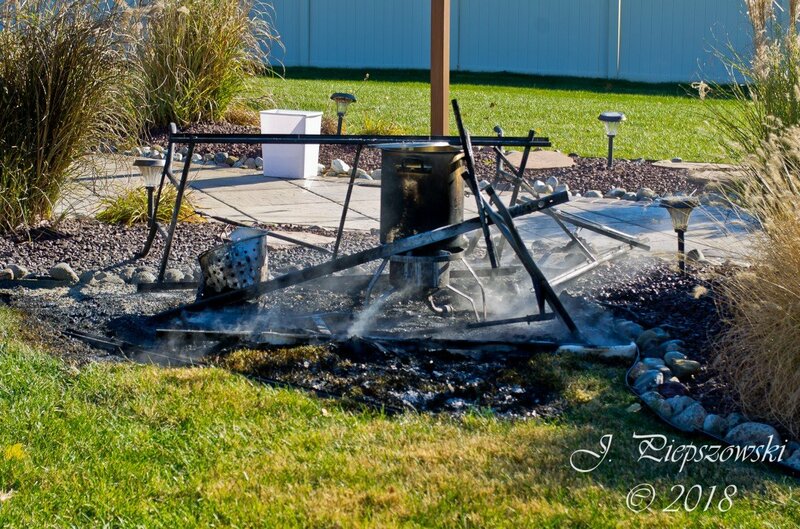 for a turkey fryer fire. 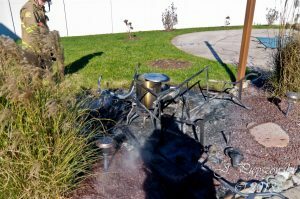 8201 arrived on location to a turkey fryer that had ignited and spread to surrounding landscaping. Engine 88 arrived and made quick work with a water can. 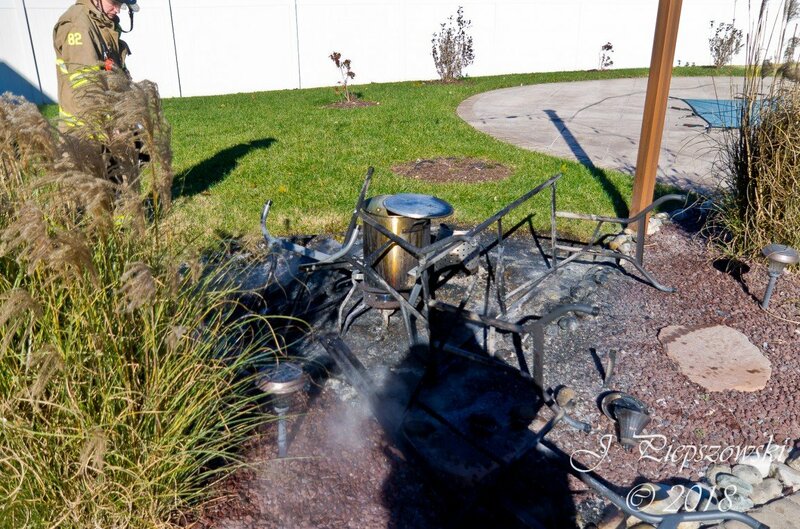 Though this was a minor fire, it highlights the importance of taking proper precautions when using these fryers. 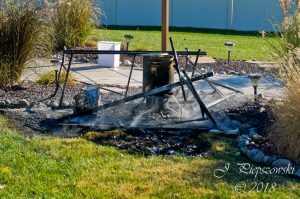 Due to the homeowner using proper care placing the fryer well away from the home and any surrounding objects, there was only minimal property loss of the fryer, a folding table, and some landscaping. While Engine 88 was still engaged here, Engine 82 (having just cleared this location) and Rescue 82 responded to the south end of the township for a reported dwelling fire. First arriving units there reported the fire contained to the oven, and the assignment was quickly recalled. We here at Chews Landing Fire Dept. would like to wish everyone a safe and happy Thanksgiving, and urge everyone to please take care and use caution while preparing your holiday meals.